Today was my dog custards birthday (he turned five ) and like every year we took him out for a drive in the evening and a scoop of his favourite ice cream (Vanilla). The long drive resulted in getting home late, which than left me with little time to make dinner. So i made the easiest simplest and quickest indian meal- Okra, tarka dahl and chapatis. 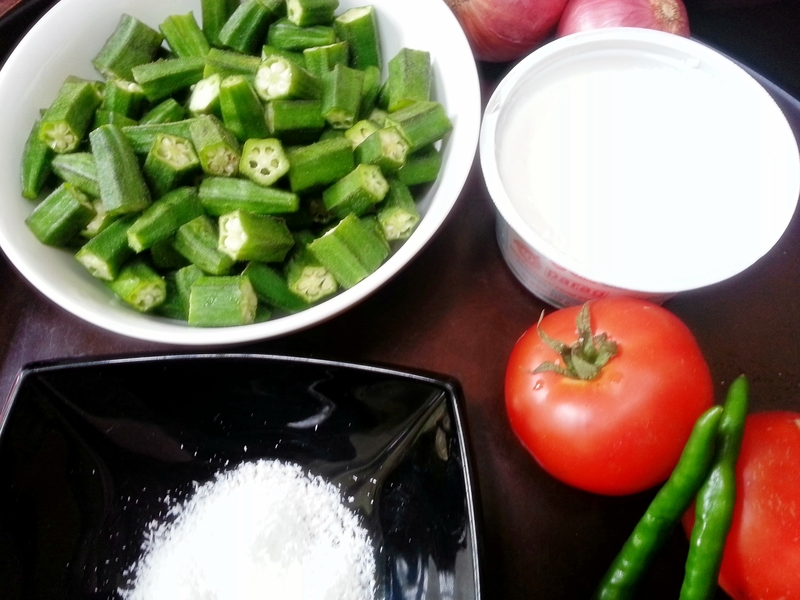 I feel okra goes with everything – lamb, fish, chicken, tarka dhal, plain parathas u can cook this with any main course. 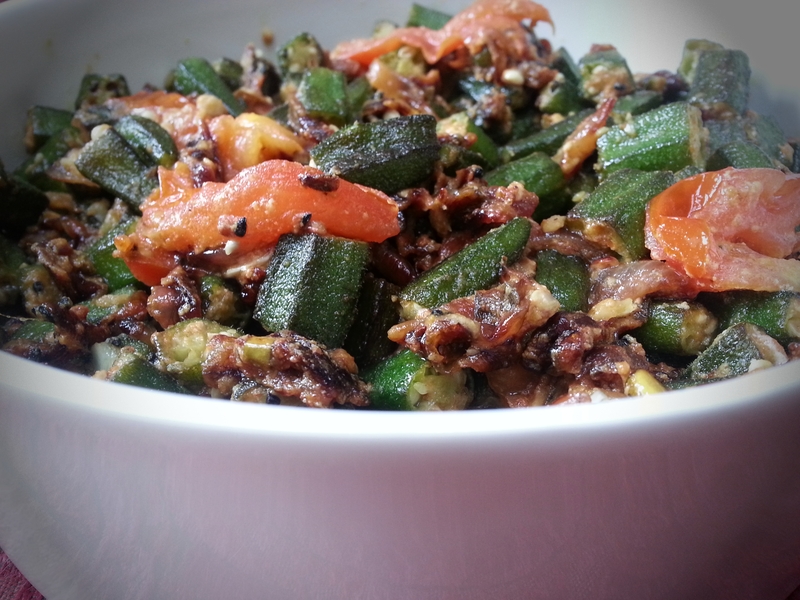 It has so much flavour believe me when i say it is one easy fast and delicious way of making okra. I cook okra very often as my whole family loves it, one of the easiest greens to get the kids to eat. This recipe has never failed me, and today again it made the dinner effortlessly delectable. 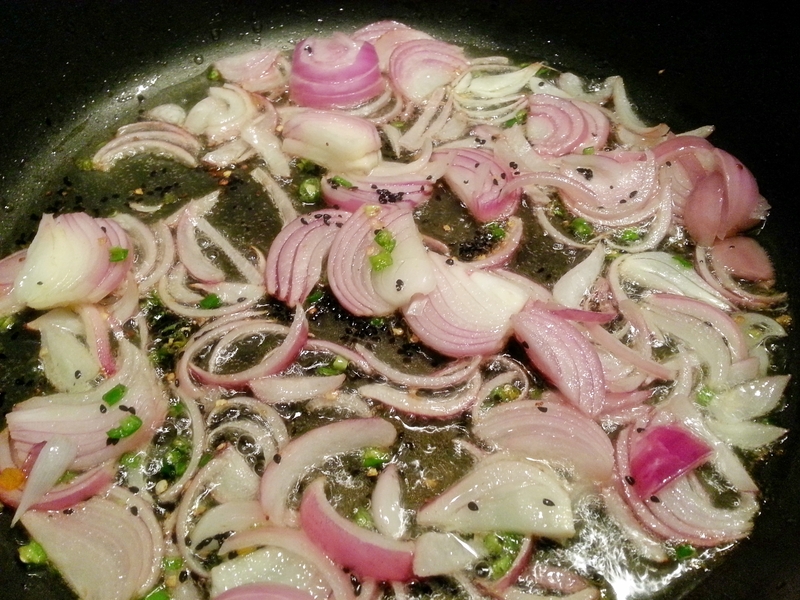 Heat the oil in a large non-stick sauce pan add the onion seeds as soon as they pop add your green chillies (finely chopped) and finely sliced onions and fry for two minutes. when the onion turns lightly golden lower the heat and add the turmeric and desiccated coconut, keep stirring all the time. Add the okra pieces to the sauce pan turn up the heat to medium high and stir-fry the okra briskly for a few minutes, until the okra has turned lightly golden.